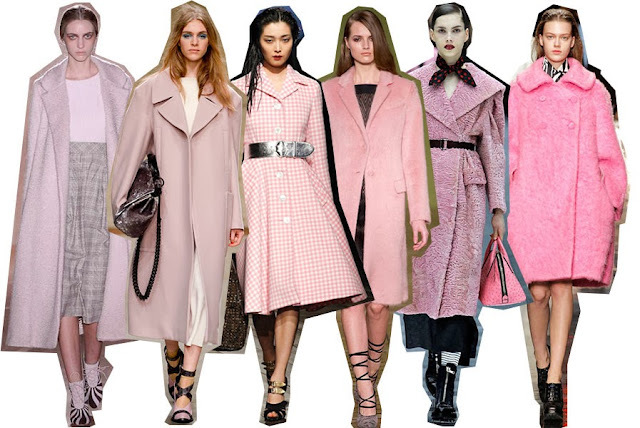 Pink pastel coats seem to be all the rage right now. 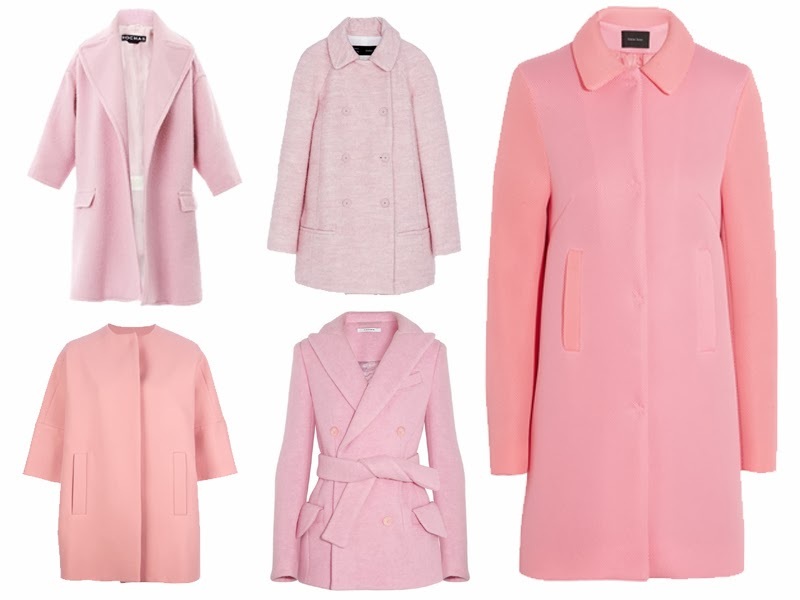 Last week when passing by Topshop at the Grove (aka one of the best shopping destinations on the planet) all the mannequins were wearing pastel pink coats and dresses - paired with festive holiday sparkles, of course. The same styles were seen on the Fall 2013 runways at shows like Carven, Prada, and Jonathan Saunders. So how does one wear a pastel pink coat without looking like a total cupcake? Take some cues from these guys! 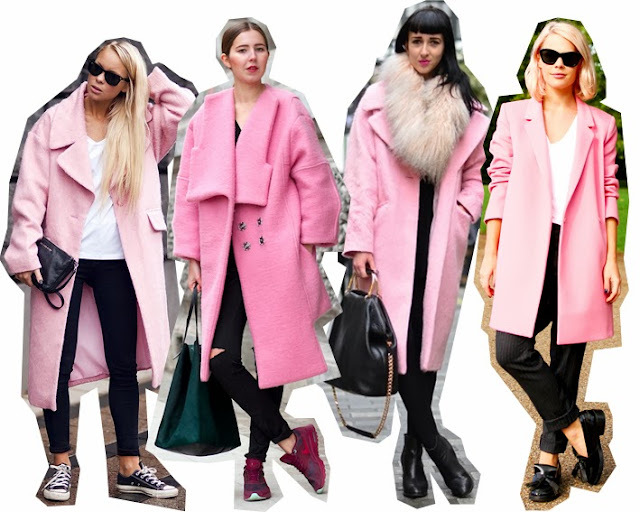 When wearing an oversize coat that is rosy-colored as a fluffy piece of cotton candy, it is best to balance the piece out with simple, sleek separates in neutral colors (like black and white, as the street style stars and bloggers have so wonderfully demonstrated). Menswear inspired accessories like brogues or straightforward boxy bags also counteract the "girly" color if you are worried about this look being too girly.